Sometimes we move to new cities because they have better opportunities than our home city. If you are moving to a new city such as the Lion City - Singapore, it can be confusing at first if you have no relative or friends living there. Settling down quickly in a new city is paramount to your own success. You might be moving into a new city because your job requires you to move or you are looking to advance your education. Whatever the reason, settling down in a new city should not be difficult even if you don’t know anybody there. Before moving to a new city, it is advisable you check the property news in Singapore to know if the place you are moving to has all the amenities you need. Checking property news in Singapore can help you know if the city is worth living in, before you make the big decision to move there. 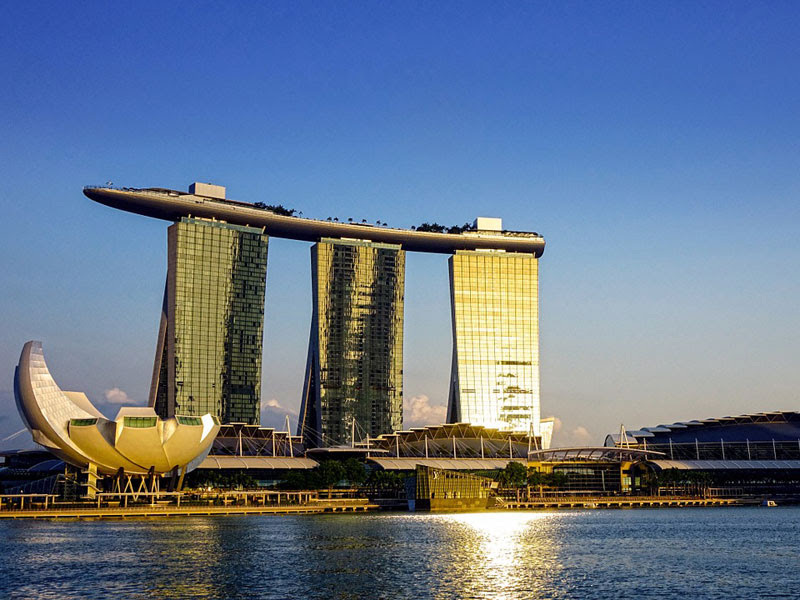 Here’s a guide that will help you settle down in a new city in Singapore. Before moving to a new city, it is important to consider various factors to see if it is going to be easy living there. Most jobs that relocate their employees to new cities give them the chance to explore the new city weeks before their move. If you already know a coworker or a friend in that city, you can move in with them just to have an experience of the new city. This would help you find out important details like the average rental price of apartments, stores available, hospitals, roommate opportunities and convenient places you can rent that is near your job or school. If you don’t know anyone there, you can stay temporarily in a hostel that can help you save a few bucks. The last thing you want to happen before moving to a new city is to run out of money because of poor planning. A good plan will help you anticipate the income you will earn in a new city and the expenditure you will incur. Always keep in mind that expenses in the new city might be higher than what you planned. In this economy, it can be tough if you don’t have a proper source of income. Check whether your financial status can help you afford the basic commodities like food or apartment rent. If you are still job-hunting, it is important you have a buffer to support you until you find a new job. A buffer could include a few months’ savings or finding a part time job to support your lifestyle. Having a back up source for money will help sort things when there is a financial situation that may require extra coin. Compare this with using public transport and find out which one is more convenient and cheaper for you to use. Before you move to a new city, it is important to consider if it is worthwhile to sell your home if you already have one. Selling your home might not be a wise decision to make because you never know if you would wish to return back in the future. The new city may not be comfortable for you thus the feeling of returning home. Instead, find tenants who can stay there. This will earn you an extra income while having the peace of mind that you have a home to return if you need to. If you are renting, give your landlord enough notice so that he can have time to reimburse your deposit. If you are looking to use the post office for mail, it is important you notify them that you are changing city. For your belongings, you need to consider what stuff you should carry and which one you want to leave behind. Also consider if it is ideal for you to move the belongings personally or you will need a moving truck. Moving to a new city where you don’t know anyone or places to go can be nerve racking. You don’t want to pile up the pressure on yourself by moving into a neighborhood you don’t feel safe. If it is your first time in a new city, you might not tell a bad neighborhood from a good one. But if you have done your research, you should be able to tell if it is safe for you to move into that area. The first six months is important for you to adjust in a new city by checking in safe places as you maneuver around. Whether you like hanging out with people or not, it is important you accept invitations from people in your new city. Even if you don’t know them well, accepting their invite for a coffee is a good opportunity to form lasting friendships with them. You never know if the person whom you accepted their invite, will help you find that dream job. Also, don’t just sit at home. Ask your friends to introduce you to new people. This is how you will make friends in the new area. You can leverage your network for advice on Facebook or old contacts on your phonebook. Joining a local group is a new way to meet new people in your new city. You can decide to join a local sports club or a volunteering organization just to bond with people. Joining a local organized group would help feel much accommodating and feeling much accepted in that society. However, don’t be tempted to overspend your money just to please a guy you just met. It is important you get out there to meet new people, but spending your money on unnecessary stuff is a bad decision. After you have settled in your new area, you might not have time to hang out with friends. Don’t be afraid to do stuff alone. Doing stuff alone will help you feel relaxed. Instead of staying at home, you can go outside and eat alone in the public. People might find you interesting and initiate a conversation with you. Sometimes you might feel lonely in a new city that you are tempted to think about your old life. This might make you feel like your new city is a big mistake and you will never have a good life like you used to have. Avoid the urge of comparing your new city to your old home. Always remember that things will get better, especially if the move was precipitated by conditions beyond your own control. Make sure you have fun stuff you can do every week. It can be joining yoga classes or a weekly sporting activity you enjoy. Having something to look forward to every week will make your life in the new city enjoyable. When you are having a long week in school or work, knowing that you have an interesting activity to join at the end of the week make your life easier.